Hildah is the oldest of 4 children born to a single mother. Her mother serves as house help in Nakuru, where she earns a living by doing people’s laundry. She is not able to live with her children, as she is constantly moving from place to place in search of work. When we first met her, Hildah was living with her aging grandmother, who has no stable source of income and relies on her half-acre land for subsistence farming to provide for the family, leaving her no extra funds for education. Additionally, her grandmother is diabetic, making work even harder for her. Hildah would have been trapped in the same poverty cycle as her mother and grandmother without your help. Now that she has a chance to continue her education, she can change her and her family’s lives for the better! Hildah may be small, but she has big dreams for her future, and the drive to make them reality! She aspires to study architecture or law in the future. After making straight A’s in her first year of secondary school, we have no doubt Hildah will be able to continue her education all the way to the university level and beyond. Girls like Hildah can change the world! Sponsoring Hildah’s secondary education is $85/month. 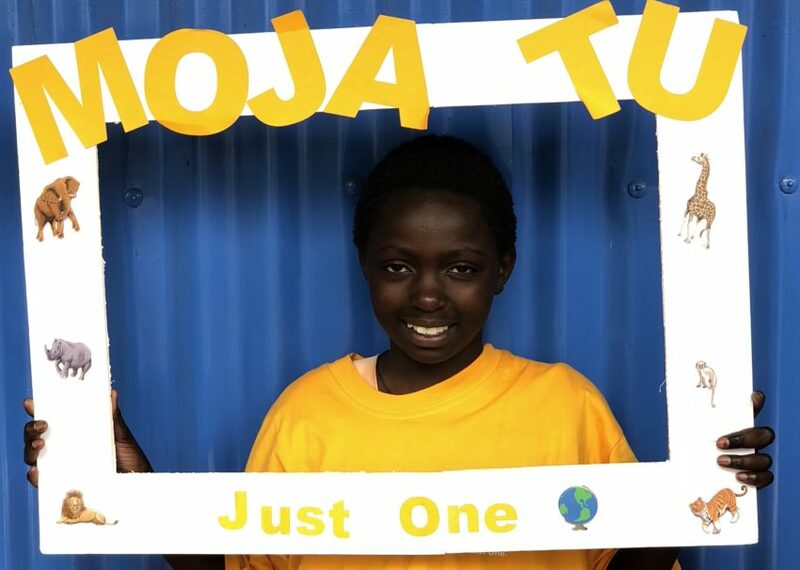 Thank you for sponsoring Just One!